Monmouth County Divorce Lawyer, Child Custody Attorney | Law Office of Andrew A. Bestafka, Esq. Nobody ever plans their life with a divorce in mind, but it is a reality that many people have to overcome. All anyone wants is a civil process, and sometimes both parties can come to an amicable agreement with each other. But other times, the entire process can be an uphill battle if one party is not being cooperative. Law Office of Andrew A. Bestafka, Esq. understands that this is not an easy time in anyone’s life. There is a whole host of chaotic factors and details that need to be focused on, not to mention the emotional weight that the divorce process brings with it. All anyone wants to do after their divorce is to get on with their lives and ensure that their children and other family members are taken care of. For over ten years, Law Office of Andrew A. Bestafka, Esq. has been the most trusted and professional name for any couple having to decide how to proceed with a divorce. We cover just about every aspect of family law and have the quality experience to get the job done. What we want the most is to provide our clients with the best possible representation in this time of turmoil. Contact a Monmouth County divorce attorney at (732) 898-2378 if you or anyone you know is going through a divorce. Our legal professionals will sit down with you and walk you through the legal process step by step so you can see what your options are going forward. The time while making a major change to your family can be one of the most trying events in someone’s life. Nobody should try to settle their divorce without proper professional legal representation or else risk missing out on a fair settlement or unequal agreement. Law Office of Andrew A. Bestafka, Esq. would be more than happy to answer any and all questions you may have concerning family law and divorce. In a study by the National Center for Family and Marriage Research, New Jersey was found to have the fourth lowest rate of divorce in the United States. Roughly 12.9 people out of every 1,000 New Jersey residents have been divorced sometime in their lifetime. With New Jersey’s population at around 8.944 million people, that is roughly 115,378 people across the state who have gone through a divorce in their lifetime. An article in Time Magazine ranked all of the states by the happiness of residents, using statewide surveys, and found New Jersey to be the 32nd happiest state in 2012. By 2013, the New Jersey had found a new spot as the 23rd happiest in the nation. Having a stable home life can be a huge factor in one’s happiness. At Law Office of Andrew A. Bestafka, Esq. we know that your personal happiness is a huge factor impacting your decision to make a change to your family life, so we make it our priority. At Law Office of Andrew A. Bestafka, Esq. we strive to be the most knowledgeable in every breadth of family law to make the entire process as streamlined and painless as possible for our clients. Don’t let your divorce define your life. Get the professional legal representation you need to ensure that you get the just agreement you deserve. No more permanent alimony. This means an ex-spouse is not required to make payments to their ex forever and instead an alimony end date can be negotiated in court. In marriages that spanned shorter than 20 years, alimony payments can only be applied to less than half of the total time spent together. There is an ongoing discussion of further changes to the alimony and divorce system in New Jersey to come. With family law changing so frequently, anyone going through a divorce needs someone on their side who knows how to navigate the uncertain landscape and provide the best legal representation possible. Law Office of Andrew A. Bestafka, Esq. will fight for the best potential outcome for our client’s divorce so they can rest easy. Call us at (732) 898-2378 if you or anyone you know is going through a divorce and needs professional representation. There is no doubt that going through the divorce process can make life extremely hectic and confusing. For your convenience, we have compiled some of the most commonly asked questions regarding the process. There is no concrete way to predict the length of any particular divorce. Each divorce is different, and depending on the how cooperative each party is, the proceedings can take months to settle out without the right representation. Once our legal representatives at Law Office of Andrew A. Bestafka, Esq. know the particulars and the situation surrounding one’s divorce they can lay out a road map to getting the settlement you deserve. Should I hire an attorney if my spouse and I agree on the terms? It is great if both spouses can agree on the terms and conditions following their divorce and will definitely expedite the process. However, having a legal representative to answer any questions you may have is vital to making the entire process go as smoothly as possible. The legal landscape of family law is not static, and it is constantly shifting with each new bill written and revised, so having someone in your corner assisting you every step of the way is vital. 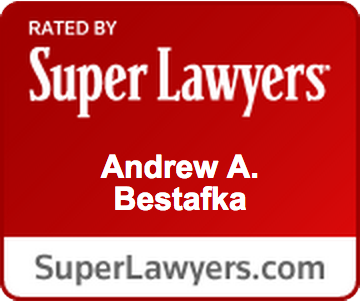 Why should I choose Law Office of Andrew A. Bestafka, Esq. as my divorce attorney? Law Office of Andrew A. Bestafka, Esq. 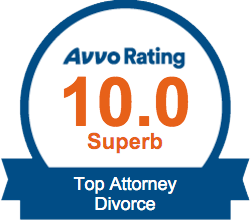 has been one of the most trusted names in family law in our community for over ten years now. 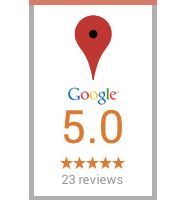 He’s won numerous awards, and our dedication to serving our clients reflects in our reviews online. Mr. Bestafka has been on the committees of the New Jersey State Bar Association and the Monmouth Bar Association. 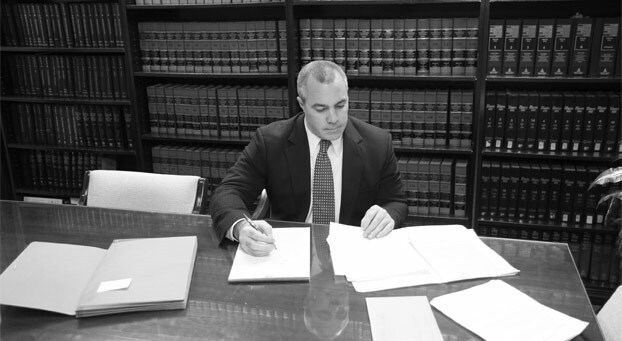 He has the experience to navigate the law and the dedication to get you the settlement you deserve. If you have any more questions, don’t hesitate to call us at (732) 898-2378. We are more than happy to assist in any way we can. Nobody should go through the reality of divorce alone or without the proper legal representation needed to come to a fair and just settlement. Our website provides a host of other resources to help you through this unpredictable time. We can answer all questions regarding divorce, parental rights, domestic abuse, custody laws, and much more. Law Office of Andrew A. Bestafka, Esq. understands the pain this time can bring, and through proper legal representation the process can be over as soon as possible, and you can go back to living your life stress-free. In addition to our ability to represent clients in all their family law matters, the Law Office of Andrew A. Bestafka, Esq. can assist individuals in cases involving real estate and business law. Whether you need assistance setting up a new business, completing a residential or commercial real estate sale, or just general legal advice, we are ready to help. Divorce is never easy and navigating the intense landscape of family law can feel almost impossible without a professional guiding you along the way. Law Office of Andrew A. Bestafka, Esq. is dedicated to making the entire legal process as streamlined as possible. Don’t let your divorce settle on unfair terms that weren’t properly negotiated. Call us today at (732) 898-2378, and we will make sure you get the agreement and settlement you deserve.